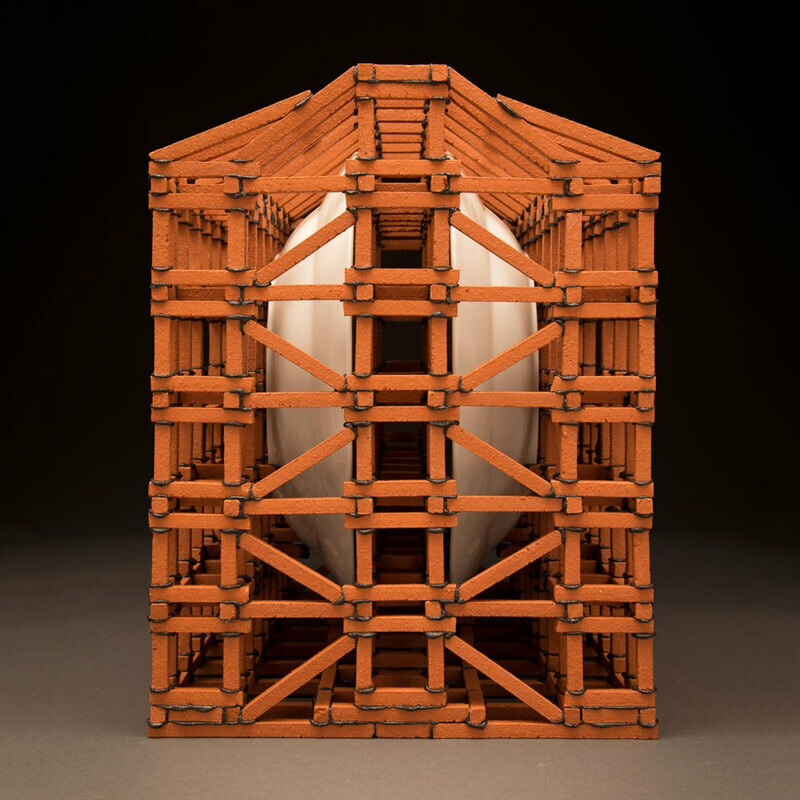 Brian Harper is an Associate Professor of Fine Art and Head of the Ceramics Program at Indiana University Southeast. He holds a BFA from Northern Arizona University and an MA and MFA from the University of Iowa. His work has been exhibited in over 100 national and international exhibitions, including 8 solo exhibitions. In addition to his studio practice, he is the Founder and Executive Director of Artaxis Organization Inc., a 501(c)(3) non-profit arts organization with over 500 members in 40 countries worldwide. Widely used as a resource by the general public, gallerists and curators, art centers, universities, students, and professional artists, Artaxis.org promotes the professional pursuits of artists, while providing visitors to the website a wide array of peer-reviewed artwork relevant to the critical discourse in contemporary ceramic art. He was awarded tenure and promotion to Associate Professor at IU Southeast in 2015, and has been the recipient of two IU Trustees Teaching Awards, as well as four Summer Faculty Fellowships to pursue his creative research. Currently, he lives in New Albany, Indiana with his wife Tiffany and their two dogs, Oliver and Crunch, and a cat named Triscuit. As individuals and societies engage in new information, new connections and paradigms are developed, some often so minor as to go unnoticed. As we absorb these changes, the implications they pose move through us personally, as well as collectively, in a chaotic pattern. In the study of dynamic systems that change through time, Chaos Theory states that seemingly small changes in a sequence of events can have drastic consequences as that chain of events progresses. In my body of work titled Oscillations Series, extruded ceramic tubes are connected in a way where each turn, angle, and junction affect all subsequent directions of the overall form. In these oscillating shapes, each part of the ceramic object plays a role in the creation of the whole form, but more importantly, each part defines the direction of the whole. Similarly, all single moments, even the infinitesimally small moments in our experience of being alive build to continually modify our individual and collective perception of our known and unknown surroundings. I research relationships between the hand and machine-made and create works that merge the two in form and content. In my body work titled Scaffolding Series, I focus on the significance of the JCPenney brand as a uniquely American icon, specifically the JCPenney HomeTM Collection. JCPenney employs the word “home” to brand this collection of utilitarian dinnerware which, because of its mass-produced and monotonous nature, do not contain qualities that would normally be associated with the notion of the “home.” By appropriating these vessels and suspending them in a scaffold structure that is hand-made with ceramic material, I am creating a support structure that is shaped by the very thing it is supporting, emphasizing the influence that mass-production has on cultural norms and customs. Similar to the Oscillation series, these works are created by creating situations for forms to respond to and influence each other’s final role as part of a whole.